Smoke alarms are very extremely important safety devices. Without one the risk of death caused by fire in your home is three times greater than if you do have one installed. In Queensland around three-quarters of all home fire deaths occur in homes that do not have smoke alarms. Furthermore around 50% of all deaths caused by smoke happen when the family is sleeping. Smoke alarms are very effective in providing an early warning of fire. By detecting smoke in your home or business the alarms alert you to the danger early thus giving you a better chance of escape. Families have a much greater protection from the dangers of fire with a smoke detector – and it is a relatively low cost purchase and installation is not expensive with Globe Electrical solutions. It is important that your smoke detectors are installed in the correct positions in your home or office. 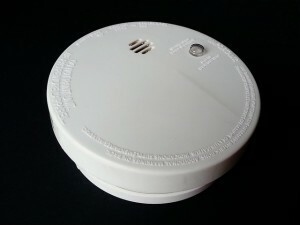 In general smoke detecting devices should be installed on (or near to) the ceiling in hallways and areas near bedrooms. If you have several levels to your home or business you need to install smoke detectors on each level. Its also important not to install smoke detectors in various areas. Don’t for example have your smoke alarm installed near doors, air conditioners or fans. Smoke alarms located in these areas will be less effective as the air movement may prevent the smoke from reaching the alarm. 240-volt alarms are considered superior to nine-volt detectors. They are usually more reliable and can be connected to other alarm systems in the house. There are Australian Standards that you smoke detector needs to comply with. The Queensland Government recommends that all smoke alarms that are install should be photoelectric alarms. This is because they are more effective than the ionisation alarms. Contact Globe Electrical Solutions today to arrange for a competitive quote to make your premises safer by installing mains powered smoke alarms in your Brisbane home or business.